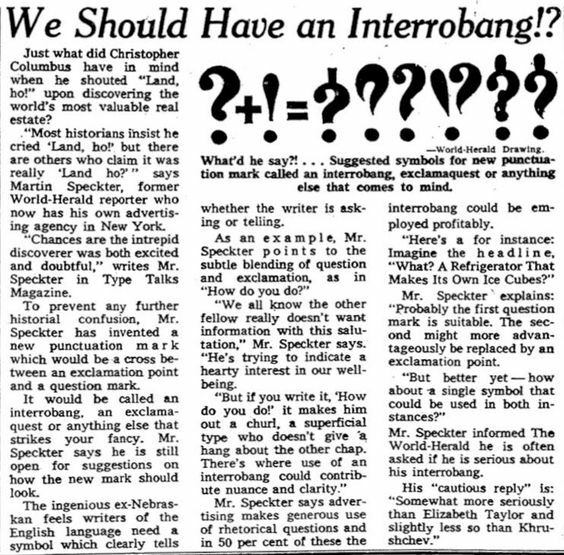 The short history is this: Martin K. Speckter conceptualized the interrobang in 1962. 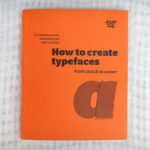 On top of running his own advertising agency, he also edited Type Talks, a journal about typography in advertising. 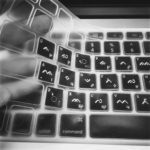 Speckter was annoyed with the growing trend in copywriting of using “? !” for an excited or rhetorical question. He decided that there should be one mark instead of an unsightly portmanteau-ed two. Speckter, like the single you, knew that one was better than two. Speckter’s first designs look like your typical three-hour swipe binge on Bumble—same, same, a little different. And unlike your Bumble match, the interrobang was received with open arms when first introduced. Sketches by Larry Ottino, Joe Carter and Frank Davies. 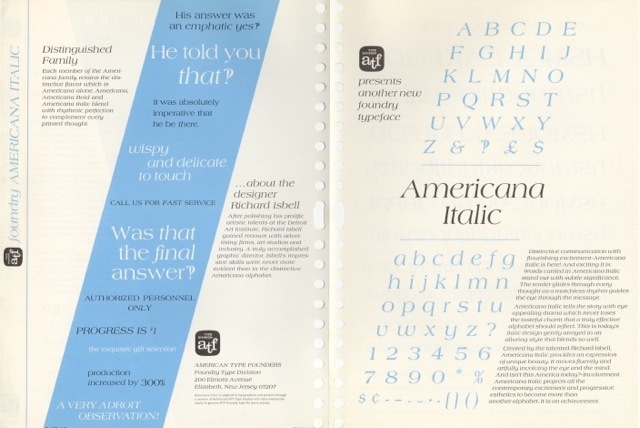 It was mentioned in numerous publications and American Type Founders (A.T.F) stated they would design an interrobang for all their new typefaces! 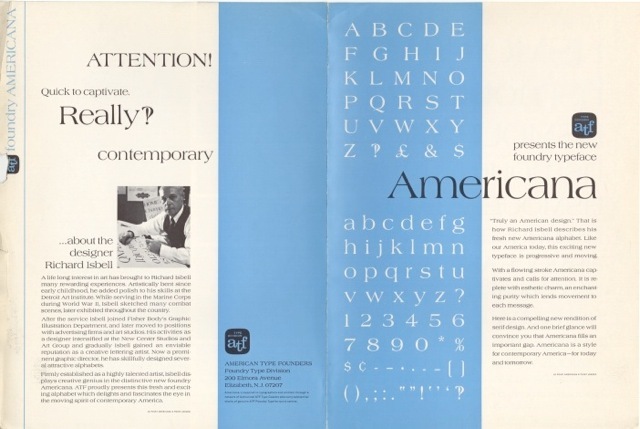 They ended up only designing an interrobang into one face, Americana. 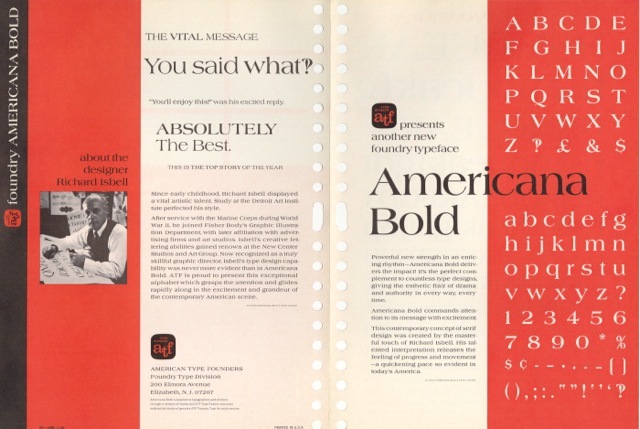 Americana, designed by Richard Isbell for American Type Founders in 1966. 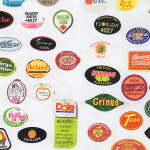 Courtesy of The Herb Lubalin Center. From there, it went downhill. 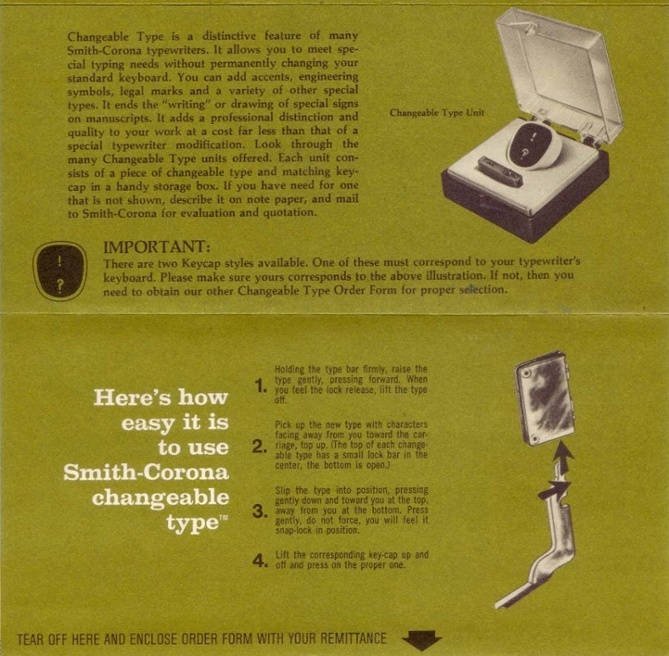 Grammar aficionados discredited it and fancy new “cold type” machines still had limited character sets. The six year gap between the interrobangs inception to printing also didn’t help. By the early 1970s it had almost completely fallen out of use. The interrobang still gets some occasional hype, but it never made a full recovery. Existing interrobangs. Full list at Unicode. Single 20-somethings are what the interrobang needs to make a full recovery. Why? I’ve only been out of the dating game for two years, and I’m surprised by how much everything has already changed. What is a “superlike” and why do I have 180 messages in my OKCupid inbox‽ Everyone is “chill” and asking me if I like pizza? Basically, I am questioning everything (? ), loudly complaining (!) and looking for some clarity (‽). Hello, Interrobang. 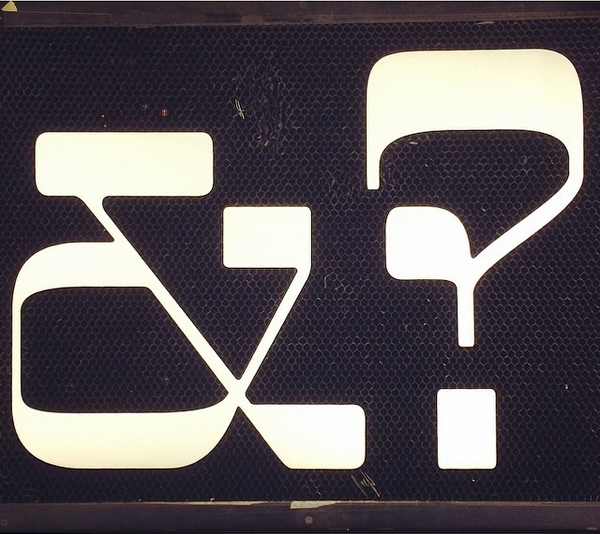 Laser cuts of ampersand and interrobang. 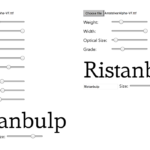 How to set an interrobang text replacement. To illustrate why this character is more necessary than ever, I’ve highlighted some very real, in-use examples that may or may not be from personal experience. It sets you apart from the masses on dating apps. SCENE: Texting you ex. Attempting to acquire knee-high leather boots you left at his place. For your general disdain with relationships. SCENE: Friend is dating a lame and you feel recently empowered by your singledom. SCENE: You get home after a day of angry photoshopping, noisy drinks with friends, and an emotional talk with the bodega guy that makes your BLT. Now that you are quiet and alone, you regret everything. You text your bff for some comfort. 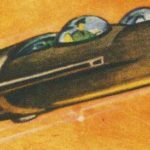 We weren’t ready for the interrobang in 1962. But the world has changed in the last 53 years. We need the interrobang more than ever before. Happy Valentines Day, Interrobae! P.S. 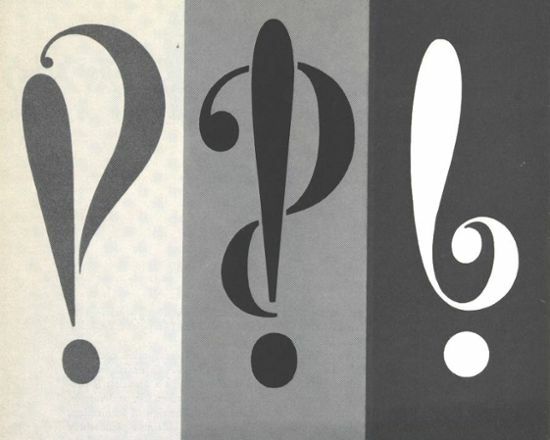 If you are interested in learning more about the interrobang, and the secret history of many other punctuation marks, please read Keith Houston’s Shady Characters.